Dr Nita Forouhi leads the Unit’s Nutritional Epidemiology programme which aims to understand the relationship between diet, nutrition and the risk of diabetes, obesity and related disorders. Nita’s research has a particular focus on identifying dietary factors that can elevate or reduce the risk of developing diabetes and in using improved methods to assess diet, including the use of objectively measured nutritional biomarkers. She is interested in understanding whether dietary factors are causally associated with the development of metabolic disorders. She is keen to promote methodological knowledge in dietary assessment through web-based projects and she works closely with colleagues in CEDAR to contribute to a greater understanding of the drivers, barriers and facilitators of healthy dietary behaviours. Nita is a Principal Investigator on the EU-FP6 funded EPIC-InterAct Study, the Fenland Study, The SABRE Study, and the EU-FP7 funded InterConnect Project and has co-authored over 200 scientific publications. Nita qualified in Medicine from the University of Newcastle having also obtained a first class honours degree in Immunology in an intercalated BMedSci. She trained in General Medicine and Diabetes and Endocrinology in Edinburgh, obtaining the MRCP. She completed a Masters and PhD at the London School of Hygiene and Tropical Medicine as a Wellcome Clinical Training Fellow in clinical epidemiology where she developed expertise in understanding between-population differences in disease risk. Nita specialised in Public Health Medicine in London and Cambridge, and in addition to her research, she is also an Honorary Consultant Public Health Physician with Public Health England. 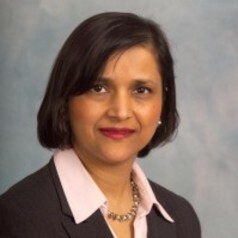 As well as her research work, Nita has been active in a number of roles: Chair of the multidisciplinary Managed Care Network for Diabetes for Cambridgeshire and Peterborough, member of the Diabetes UK Research Committee, member of the IDF (International Diabetes Federation) Diabetes Atlas Committee, adviser to the National Institute of Health and Clinical Excellence, and she is Associate Editor for Diabetic Medicine. Nita has regularly organised the WHO/IDF/EASD Cambridge Seminar for increasing understanding of the epidemiological and public health aspects of diabetes, and she enjoys teaching and training Cambridge University undergraduates and postgraduates and Public Health trainees. She is the Unit’s Athena SWAN lead and a member of the Clinical School’s Athena SWAN Governance Group.